Parents if behave like buddies, it eases the life. You have nothing to hide and can freely share your thoughts, emotions and even your fears. Our generation had some real tough parents but time has been changing ever since. Parents are understanding the importance of letting go of the control over their kids. They understand that it will just make them rebellion and they want to be more close to them. However, there are some parents who felt this a long time ago and they are the best buddy of their kids. I am a bike lover and own an avenger. 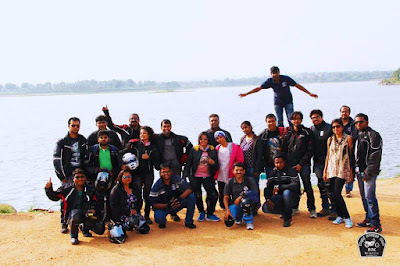 Being a part of Bajaj Avenger Club – Bangalore (BAC – Bangalore), I often go with ride with other Avenger owners. There are a very few female bikers but luckily our club has a significant count. It was amazing to see the bond of a mother and daughter on one such ride. We had 18 avengers running on the road on a straight line. It was beautiful. Mostly, all of them were riding solo but some had brought their lovers along. We had 3 female bikers and one of them brought her mother along. An elderly lady with a bandana on her head with lose jeans and full of energy. She looked prettier than any girl riding with us. For me, it was shocking for someone so elderly to accompany for a bike ride but it was very cool. Supporting a girl to ride a cruiser bike and join a club but something even better is, to accompany her on one. Riding after 200kms one way, we were all tired. Riders were shifting left and right to give some peace to their bottoms and pillions were having even harder times. When we got off, most of us had the tired look but she was still charged. She loved to ride with her daughter and that could be seen in her smile. She was very proud of her. While we were resting and having our lunch at open place near the countryside, people used to turn back and look at so many bikes with people all geared up. Everyone seems to admire a biker in her/his costume. A bus with local passengers passed by and some boys sitting near the window started whistling. They were not whistling at the girls but just expressing the happiness of finding a biker club nearby. We just waved hands and suddenly heard a loud whistle from our side. The lady was whistling and I don’t think anyone in our group could have been so loud. Each one of us looked at each other while the girl hugged her mother. We knew, that she had ruled on this trip. She made it a memorable one. The daughter and mother were a perfect team with their avenger. They are in the middle of the photograph below. The same bonding of love between parents and kids is the initiative taken by Kellogg's. Visit - https://www.facebook.com/mychocos to find more about it. Parenting is an art that we perform for our children; it includes different types of behavior and nature which inspires our children. Most probably there are several stages in our life childhood, teenage, young age and old age and we need different types of guidance in different stages. Therefore as a parent we need strong parenting skills to deal with our kids; strict parenting, buddy parenting and many other types of parenting will bring good change in our kid's behavior. We used to learn some crucial facts about buddy parenting from here and used to implement in our parenting style. I hope behave like friends with our teenage children will be beneficial for them and also for us; this is quite helpful for putting control on them.